You can see the roads entering Mersing here. 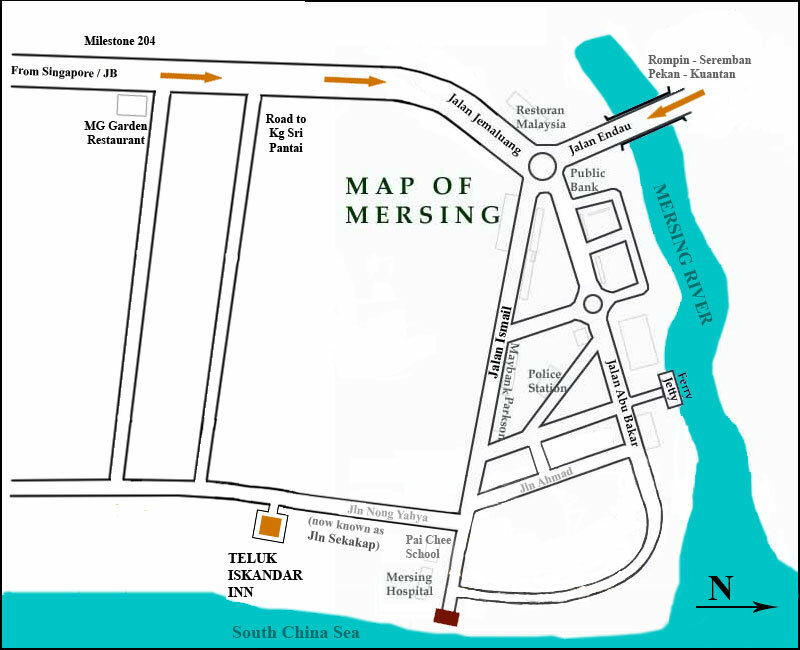 For a more detailed view of Mersing, see our town map. Below are the roads to Mersing from Kuala Lumpur and Johor Bahru/Singapore. Take North-South Highway, head south towards Johor. Exit at Ayer Hitam (exit 244). After toll gate take a right turn at the traffic junction and head towards Kluang. Before entering Kluang town, there’s a roundabout, take 3 O’clock. Follow signs to Mersing or Route 3. There are two major bus lines that go from KL to Mersing. The first is the Transnasional, and the second is S&S. S&S is faster and the seats are more comfortable.